What does a ClaimTek Systems Business Opportunity Cost? ClaimTek offers several levels of professional entry into the medical billing business. The three levels are Principal Program $19,995, Prefered Program $29,995, and Director Program $39,995. Each level includes our advanced MedOffice Software, training will cover software, marketing, and billing. ClaimTek also offers professional marketing, and free 2 year toll free support. ClaimTek will make sure you have the most up-to-date and state-of-the-art software to support your business. No Experience Needed! Great Income Potential! Flexibility to work at home, on the road, basically anywhere you have Internet access. 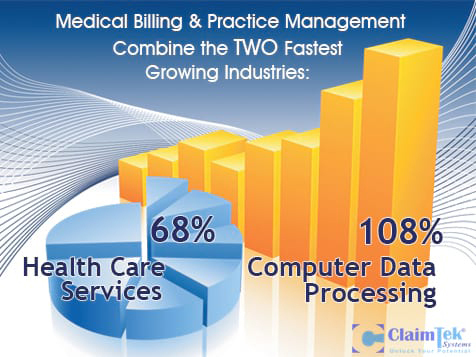 ClaimTek is the most trusted Medical/Dental Billing business opportunity in the industry. We are the only company with expertise in billing, software development, and business development over the last 25 years and the services we offer are IN DEMAND! The Need: As hiring, managing, and compensating employees has become increasingly challenging for small businesses, outsourced healthcare billing and revenue cycle management services is the future for small to mid-size medical and dental practices. And that is where Claimtek comes in. Healthcare services is virtually recession-proof and the #1 sector for growth according to the U.S. Bureau of Labor! Open ClaimTek Systems in any of these available states: AL, AK, AZ, AR, CA, CO, CT, DE, FL, GA, HI, ID, IL, IN, IA, KS, KY, LA, ME, MD, MA, MI, MS, MO, MT, NE, NV, NH, NJ, NM, NY, NC, ND, OH, OK, OR, PA, RI, SC, SD, TN, TX, UT, VT, VA, WA, WV, WI, WY, DC. Right Opportunity, Right Industry, Right Company. Flexible Structure. Work electronically anywhere, anytime. Work from home, an office, or while you travel. ClaimTek customizes your 1-on-1 training and business development plan based on your needs. Owner/operator or enterprise-style business models available. No Experience Necessary. No previous experience in health care or special training/licenses are required to own your billing business. ClaimTek provides years of “on-the-job” training and professional branding for instant credibility. Enormous Income Potential. Medical/Dental billing is already a lucrative industry, and ClaimTek’s low-overhead business model offers industry-leading profit margins. With ClaimTek you have access to 12+ revenue streams. 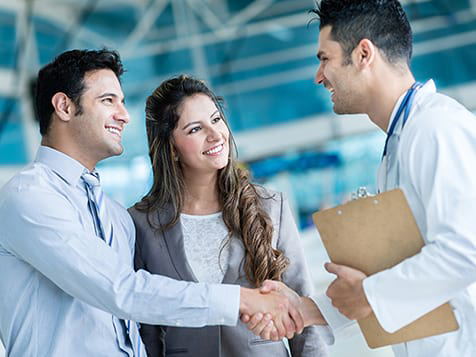 ClaimTek is the only company that enables you to work with any Medical or Dental specialty to maximize your chances for success: Family Practice, Internal Medicine, Durable Medical Equipment (DME), Urgent Care, Surgical Clinics, Cardiology, Mental/Behavioral Health, Dental Surgeons, Maxillofacial Surgeons, and many more! 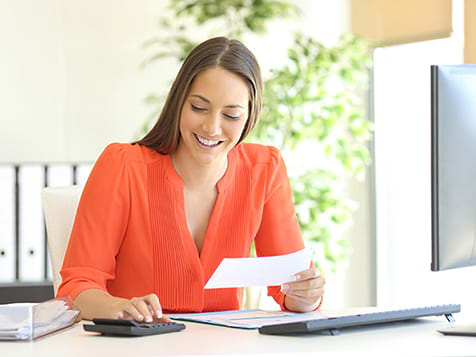 Setup a turn-key, professional billing center without excessive monthly software support fees. Access our system on the cloud or work locally from anywhere. Lower overhead means competitive pricing for easy client acquisition and highest profit margins. Work directly with the source! ClaimTek is your source for business development, marketing, branding, inventive software solutions, training/consulting, and support system! We are your partner for the life of your business so you don’t have to work with multiple vendors to grow your business. 1-on-1 training with ClaimTek is customized to your availability, background, pace of learning, and business structure. We work with you as you market your business and bill for new clients so you get real-world experience, not just an introductory course in billing. The medical billing business opportunity is, without a doubt, the growth industry of the 21st century! ClaimTek provides you with professional marketing knowledge and tools that help assure your quick success. This is an important business and educational investment in yourself, a security for your future. 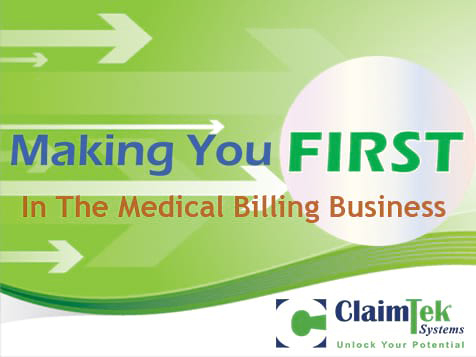 Start your professional medical billing business with ClaimTek today!